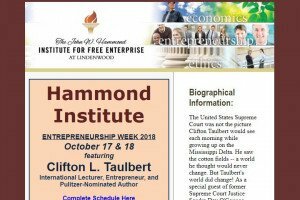 The John W. Hammond Institute for Free Enterprise is a research and education center in the Plaster School of Business and Entrepreneurship at Lindenwood University. 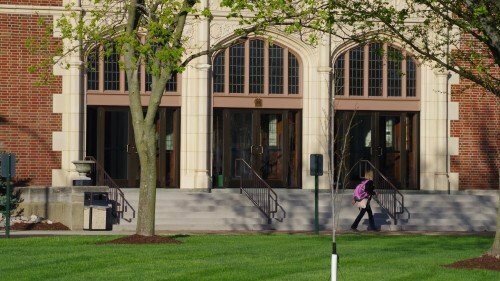 Its mission is to foster free enterprise and civil and religious liberty through the examination of market-oriented approaches to economic and social issues. This mission is based on the view that a limited government, such as that laid out in the Constitutional foundation of the United States, is a necessary component of a just and prosperous society.